What the heck is the information field? Information is patterns of energy. information and changes disturbed information. electromagnetic signal in the body. the Organizing Principles Behind Energetic Matter. 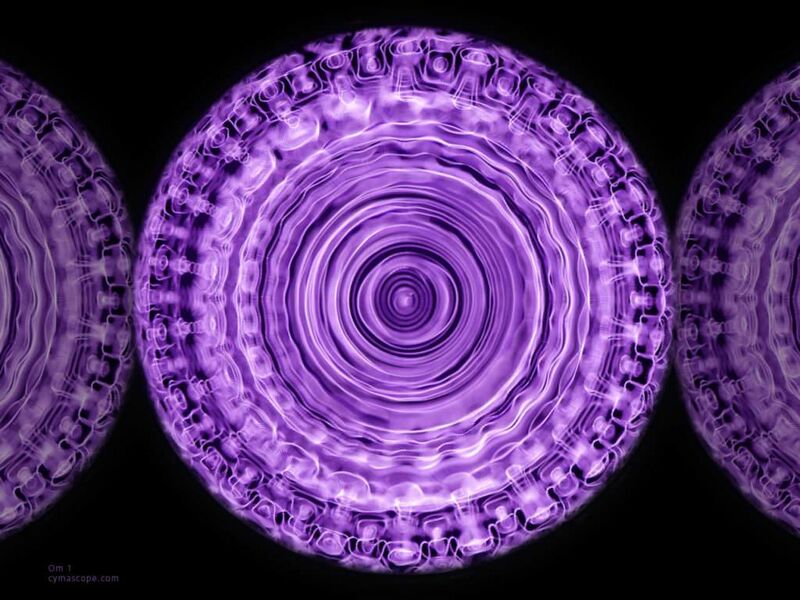 CymaScope photograph of water being vibrated by sound. “Matter is compressed energy. Information is patterns of energy. There is an information flow in our bodies.” – Edgar Mitchell PhD. “Informational Medicine – Medicine that takes information and changes disturbed information. it’s actually well over two thirds placebo or – belief. “The heart generates by far the largest rhythmic electromagnetic signal in the body. Before we get into specifics about the role of the Information Field within our products and in particular, water, we’d like to share some basics attributes about the Information Field or “the field” as it is called, within various scientific disciplines and philosophical treatments. on the complex subject of Information Fields. so we want to acknowledge him for his efforts. decided to use it as introduction on the subject. Thanks to Quantum Physics, the 6th type of energy category has been observed and classified as the “Information Field.” Though technically, it is said to not be energy at all but simply an organizing principle as information. Matter and Field are linked – All physical manifestation has Information Fields associated with it and any change in either will effect change in the other. Like attracts Like – this is opposite of normal physics principles though in alignment with the laws of attraction in consciousness co-creation understandings. Non Local – this refers to the observation that information can be put into the field and it shows up and can be accessed everywhere in the universe simultaneously. Information then is not restricted to having an effect only on local reality. Conditions or influences space – This can be locally and/or universally. Manifest and unmanifest energy – it is suggested that Information Fields are like templates or blueprints as organizing principles of energetic matter. Change the readout of the blueprint and you can change the material energy. Vortex Properties – Torsion and Vortex properties having left and right hand spins. This gives strong credence to the principles of using Vortex energy to structure water. Sacred Geometry – creates more coherence or efficacious Information Fields. Just as water is influenced by much energy, so to is the Information Field and vice versa. Thought and emotion create an Information Field. The human aura is both electromagnetic biofields and the informational patterns that organize them. Information Fields react with consciousness. The brain is a product of consciousness. Consciousness is not a product of the brain. The regulation of a whole organism and the coordination of its cells are accomplished with Information Fields. The Information Field is always instantly being updated by the stronger influences of our sub conscious mind. Thus, Information Fields are the medium through which harmony or disharmony is created and directed in our co-creative life experience. The degree of influence by Information Fields upon our consciousness depends upon our belief systems of that very same consciousness. All beings in an unstressed state have an innate self healing ability that is virtually limitless. Coherent Information Fields – These fields are strongly correlated with coherent Physical Expressions and vice versa. Change one and you change the other. Coherent – means, “A potent and focused patterning of Information by an intelligent and aware organizing principle.” Having “high coherency” implies that a Vector or (agent of change) will be very efficacious. Non coherency – means that the Informational patterning and physical expression counterpart are not focused and thus not likely to effect substantial change. Vector Processes – For the sake of explaining Vector processes, let’s view them from 3 perspectives for the moment. PEV = Physical Expression Vector – Viewed as the causative Vector, whether it’s effecting change in an Information Field or another Physical Expression or both. This view is chosen when the Physical Expression is easier to perceive while the other is harder to realize. I.e. you can see and/or more easily understand an action being taken. In this regard, it is also termed an ACTIVE VECTOR. It may appear that the Physical Expression has more relevant coherence and efficacious quality. IFV = Information Field Vector – Viewed as the causative Vector, whether it’s effecting change in a Physical Expression or another Information Field or both. This view is chosen when the Information Field is easier to understand as having more relevant coherence while the other is harder to realize as you cannot perceive any action being taken. In this regard though, it is also termed a PASSIVE VECTOR because you cannot directly perceive the Information Field either. Matter expressing universal principles such as “Sacred Geometry” has high coherence in form and in the Information Field. Human thought and emotion can also be high coherency expressions; particularly when projected towards water. Remember that for the Information Field, like attracts like. So creating high coherency in one attracts high coherency in the other. If you work with Feng Shui energy in your living space and decide to display and hang art depicting sacred geometry shapes, there will be a correlated Information Field coalesced from your actions. You will have established a high coherency field that will attract other highly coherent fields of similar information to it. And of course, correlated with these “new” fields will be a “new” physical expression that will show up in your experience. Thus, in following the precepts of Feng Shui, you can use it to help attract things that you desire. Becoming fluent in this process helps your co-creations to “Flow” more harmoniously by creating from your conscious mind rather than from your subconscious negative programming. This video shares some of the first hard science proof of water memory in a surprising way. Water memory is based on the Information Field so it fits here as it perfectly ties in to water structuring. This video was published October 16th, 2014 to YouTube. science fiction to send entangled particles faster than the speed of light. This video was published June 28th, 2015 to YouTube. Notice that, at the very beginning, it shares the successful studies which prove that it is no longer science fiction to be able to send or effect entangled particles faster than the speed of light. The beginnings of TELEPORTATION are here! How quickly the science is changing. And guess what? Water in quantum states Teleports!